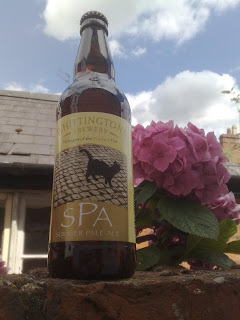 4% SPA, a most drinkable beer. A definite for those lazy summer days and still enjoyable by the fireside on those winters nights. This golden beer will deliver the Real Ale flavour without any overpowering hops and bitterness. With all bottle conditioned beers poor carefully as to make sure the sediment stays in the bottle and doesn't join the beer in the glass.